At Lions Tigers & Bears, we believe it takes a village. From board members to staff to veterinary doctors and volunteers, the Lions Tigers & Bears family is truly dedicated to the rescue and well being of the animals and to raising awareness of the perils of the exotic animal industry. Bobbi has been working with and advocating for captive big cats, bears and other exotic animals since the early 90s. She began her personal involvement with these efforts after witnessing the abuses and neglect inflicted on captive exotics victimized by the exotic animal trade. Bobbi made a decision that something must be done, and since then she has made it her personal mission to end the abuses that stem from this heinous industry, one animal at a time. Bobbi plays an active role in managing all aspects of Lions Tigers & Bears' daily operations, from daily feedings to office management. She is a prolific fundraiser and tireless advocate for abused and displaced big cats, bears and other exotic animals. Bobbi has worked across the country to coordinate the rescue and relocation of hundreds of big cats, bears and exotic animals - providing them an opportunity to live out their lives at reputable sanctuaries, including Lions Tigers & Bears. Bobbi has testified before Congress, helping to advocate for legislation that would regulate the trade of these animals. She is also very active in national-level advocacy groups and committees, including the Big Cat Sanctuary Alliance and the Bear Care Group. Both she and Lions Tigers & Bears have won multiple awards and recognition for leadership and public service, including the Carol Noon Award for Sanctuary Excellence by the Global Federation of Animal Sanctuaries, and numerous accolades from the local Chambers of Commerce, the San Diego County Board of Supervisors and the California State Assembly. Mark is Co-Founder and President of Lions Tigers & Bears. 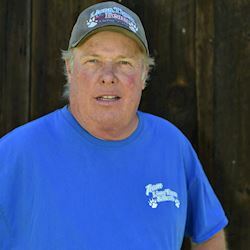 In addition to running his own full-time business specializing in customized helicopter painting and graphics, Mark oversees all construction projects at Lions Tigers & Bears with a true hands-on approach. His expertise can be seen in virtually every building, enclosure and habitat on the property. Susan serves on Lions Tigers & Bears' Board of Directors as Board Secretary. 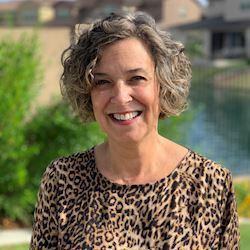 With a Masters degree in Business Administration, and over 20 years experience in Systems Consulting and Information Resources, Susan brings an impressive resume of experience to Lions Tigers & Bears, including a background in financial services and software training. 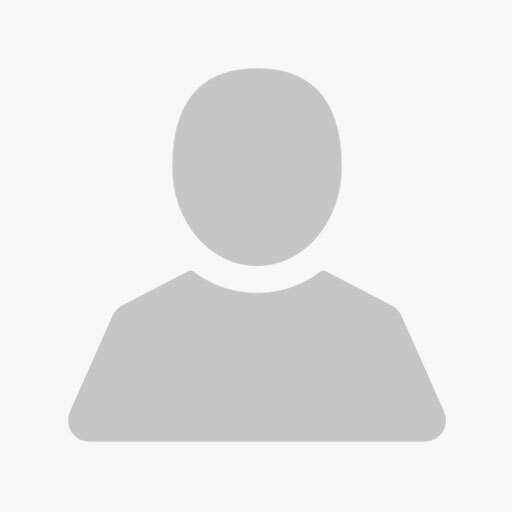 Susan helps with fundraising procurement, Auction Pro Maestrosoft data entry, packaging and display of auction items. She also performs administrative support, and conducts educational and group visits. Julie serves on Lions Tigers & Bears's Board of Directors as Treasurer. Julie is a Certified Nurse Assistant and Medical Assistant. She has spent her career prepping operating rooms, assisting in surgery and coordinating quality assurance programs for human clients. 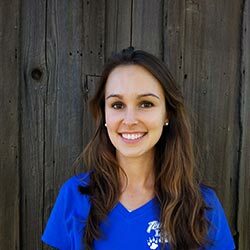 She now brings that medical acumen to her animal charges at Lions Tigers and Bears, where she assists in medical procedures and examinations in our on-site medical facility. In addition to assisting with the medical needs of our rescued residents, Julie volunteers several days a week providing daily care to our resident bears and big cats. She prepares the animal's specialized diets, administers medication, vitamins and supplements, provides husbandry, and ensures the animals are happy, healthy, and well cared for. Jackie serves on Lions Tigers & Bears's Board of Directors. Jackie has over 30 years experience in the hospitality field, with key positions in purchasing, hotel renovation, and project management. An English major in college, she has a strong background in writing proposals, contracts, advertising copy, and media releases. 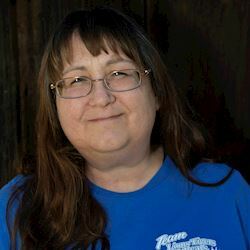 Jackie has been involved with Lions Tigers & Bears since 2004, performing many functions, including fundraising, event co-chairperson, media relations, and writing/editing newsletters, collateral materials, news releases, and grant applications. 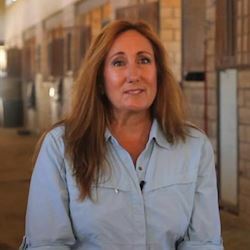 Dr. Judy's career in veterinary medicine started in 1979 after graduating from the University of Illinois College of Veterinary Medicine. Having grown up in the Midwest, he ventured to Southern California after graduating to begin his practice which included companion animals and exotic and equine medicine. 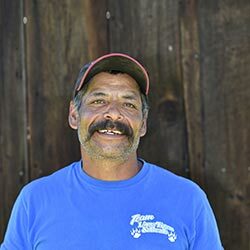 Currently, he serves companion animals exclusively and holds membership to CVMA, AVMA, and SDCVMA. He also serves as Chair on the Board of Directors for Lions Tigers and Bears, a non-profit organization serving neglected and abandoned exotics. Dr. Judy has remained steadfast in his ethos - dedication to the well-being of animals - by frequently attending continuing education seminars beyond the required state board minimums and seeking out the latest technology to benefit his patients. When not working with animals, Dr. Judy likes to spend time with his wife, their cat Skunk, and four dogs, two Golden Doodles, Bugs and Lola, a Pom-Tzu, Georgie, and a Terrier mix, Tinkerbell, at their home away from home near Lake Tahoe. Presently, he is taking guitar, bass, and vocal lessons, so once he retires, he fully intends to become a rockstar. April serves on Lions Tigers & Bears's Board of Directors. April is a Registered Nurse for the San Diego County Unified School District and has been involved with Lions Tigers & Bears since its founding. April helps out during special events at the sanctuary and advocates for Lions Tigers & Bears within our local community. Debby has been a fundraising professional for more than 25 years. After graduating with a BA in Psychology from San Diego State, her love for animals lead her to work with several animal organizations in San Diego County, including Helen Woodward Animal Center and San Diego Humane Society. She has now firmly planted herself and her expertise at Lions Tigers & Bears. She met Lions Tigers & Bears's Founder, Bobbi Brink, back in 2003 when the sanctuary was just beginning. Her dream was to someday work at Lions Tigers & Bears with Bobbi Brink. Her dream is a reality and she is very excited to be a part of the Lions Tigers & Bears team! Lisa comes to us from The San Diego Museum of Art where she was the Associate Director of Donor Relations and Prospect Research and former Membership Manager. 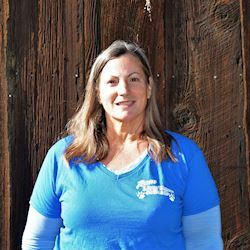 With 25 years of experience in nonprofits and an MA in Arts Administration and Management, Lisa has worked for The San Diego Humane Society, A.R.T.S.- A Reason to Survive, PAWS, East County Performing Arts Center and volunteered at the El Cajon Animal Shelter. 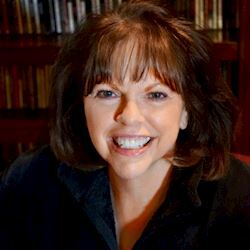 A jack of all trades in the nonprofit world, she has developed award-winning education programs in the arts, written grants and actively fundraised, been in charge of operations, logistics, box office management, events and database services. Lisa became a volunteer of Lions Tigers & Bears on the spot at our very first fundraiser at the ranch. Bobbi had invited her as a guest and she ended up jumping in to help sell T-shirts! Lisa lives with her cat, dog, parrot and husband, Tim. In her limited spare time, she enjoys hiking, gardening and sitting in her hot tub afterwards! As a musician, she loves to listen to music and considers lions roaring, music to her ears. 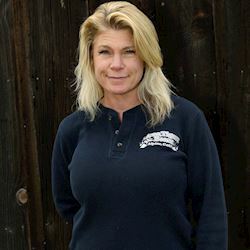 Martine is one of our Senior Keepers and has been with Lions Tigers & Bears since 2007. Martine plays an integral role ensuring all of the animals are well care for and their habitats are safe, secure and well-maintained. Along with providing daily care to Lions Tigers & Bears's animal crew, Martine also plays an active role in helping to construct new habitats at Lions Tigers & Bears. Looking back at the path that led Heather to where she is now, it's no surprise that she has brought her skills and experience to the table as a dynamic member of the Lions Tigers & Bears team, Born in Santa Clara but raised in Portland, Oregon, she specialized in fostering domestic cats and kittens -- first as a volunteer at the Oregon Humane Society, and then as a staff member at San Diego Humane Society's world-renowned 24-hour kitten nursery, where she also provided behavioral support to adult cats in the off-season. From there she transitioned to fundraising and now thoroughly enjoys making a difference in a behind-the-scenes capacity. 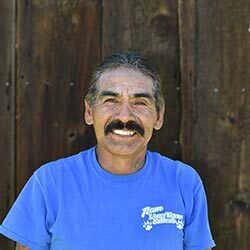 Margarito was born in Mexico and has loved all things horticulture for most of his life. We have him to thank for the beautifully landscaped plants located throughout the sanctuary grounds. He is also very knowledgeable about the rescue animals, and takes great pride in his meaningful work here at Lions Tigers & Bears ensuring that they are safe, secure and well-cared for. In his spare time, you will find him exploring San Diego or tending to the latest crops in his garden. Tina has been a southern California resident the majority of her life. She joined Lions Tigers & Bears in November 2018 to assist with the many tasks and duties that need tending to around the sanctuary. From setting up our White Oak retreat for guests, to helping maintain our offices, surgical suite and gift shop, to helping with purchasing and other administrative duties - she does it all! Tina's favorite aspects of working at Lions Tigers & Bears are learning something new every day, and making a difference in the rescued animals lives. Darby, a Chicago native, has been working with large carnivores since 2012. After earning his B.S. in Biology from Millikin University, he has pursued animal care opportunities across the country. Having worked for five accredited facilities in four states, Darby is looking to call San Diego home! 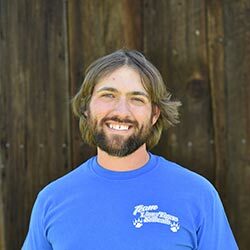 He has a wide variety of animal care experience including working with reptiles, primates, birds of prey, and hoof stock - however Darby has specialized in wolves and big cats, as they are his passion! Darby's favorite thing about being apart of the Lions Tigers & Bears family is directly impacting the livelihood of the animals and seeing their improvement firsthand. Usually considering himself a "tiger guy", it is our shy cougar, Conrad, that Darby has become fond of during his time at Lions Tigers & Bears. Rebekah graduated from Kutztown University in Pennsylvania with a psychology major and biology minor, focusing her studies on animal behavior. She has worked, volunteered, and interned at numerous animal care facilities in Pennsylvania, North Carolina, and even South Africa. With her passion for big cats in mind she began volunteering at Lions Tigers & Bears after moving to San Diego, where her outstanding talents were quickly utilized in a variety of ways. Not long after that, she was hired on as a keeper and also assists with managing the onsite gift shop. A native San Diegan with 30 years of administrative and customer support experience, Malinda is a huge animal advocate. She enjoys being part of the Lions Tigers & Bears team, and working for an animal sanctuary is truly a dream come true. When she's not working, Malinda enjoys spending time with her two sons, friends and her own animals. She enjoys horseback riding, hiking, camping and just about anything to do with the outdoors. Malinda says, "I am extremely excited to use my experience and skills to further the mission of Lions Tigers & Bears, and bring awareness to help end the exotic animal trade!" Brian is a San Diego native. He graduated from CSU - Sacramento with a B.S. in Biology and a concentration in Ecology, Evolution and Conservation. Brian has a varying background working with animals, from studying ring tail cats in the wild during college to interning at the Arkansas big cat sanctuary, Turpentine Creek Wildlife Refuge. Brian brings his passion for animals to Lions Tigers & Bears as one of our knowledgeable keepers. His favorite animal is Maverick the tiger and his favorite thing about Lions Tigers & Bears is seeing firsthand the lengths our sanctuary will go to protect all animals in captivity, not just those who we care for directly. Dr. Meier grew up in Minnesota and Indiana with a variety of animals from frogs to horses. Jane knew since the third grade that she wanted to be a veterinarian when she wrote an essay on what she wanted to do when she grew up. After graduating from Purdue College of Veterinary Medicine, Dr. Meier completed a 16 month internship in zoological medicine at the San Diego Zoo. She then stayed on the staff of the Zoological Society of San Diego for 13 years as an associate veterinarian. After leaving the zoo, Dr. Meier opened her house call practice concentrating on exotic animals. This included providing veterinary care to several non-profit wildlife or exotic animal organizations including Lions Tigers and Bears. She has been in practice over 40 years. Recently Dr. Meier semi retired continuing her work with the non-profits as a way to give back and stay involved. Dr. Garfinkel is a graduate of the highly regarded College of Veterinary Medicine at North Carolina State University. 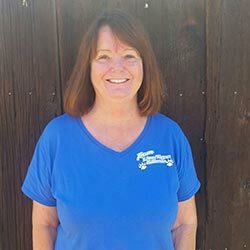 She has been practicing in the East San Diego County area since 2000, and has built a reputation of providing high quality and compassionate care. Originally from Southern California, Ryan achieved a B.S. in Zoology from the University of California Santa Barbara before moving north and earning his doctorate from the University of California Davis School of Veterinary Medicine. He continued his training at the University of Tennessee College of Veterinary Medicine first as an intern, then continuing as a Resident in Zoological Medicine and Surgery. While in Tennessee, he provided veterinary care for a variety of facilities, including the Knoxville Zoo, Tiger Haven, Appalacian Bear Rescue, Ripley's Aquarium of the Smokies, and other zoo and wildlife organizations. 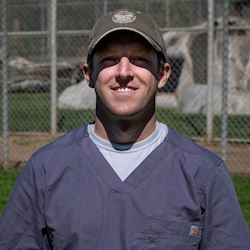 For the third and final year of his residency program, Ryan came back to Southern California to work at the San Diego Zoo, and then earned his specialty certification as a Diplomate in the American College of Zoological Medicine. 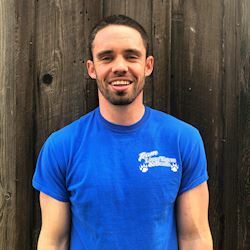 After providing veterinary care at the San Diego Zoo, the Santa Barbara Zoo, and other California facilities, Ryan settled in the San Diego area and currently works at the San Diego Zoo Safari Park, in addition to providing care for the animals at Lions, Tigers, and Bears. He routinely consults with other zoos and sanctuaries on a variety of cases, particularly exotic carnivores. Dr. Woody was raised in rural Colorado where she was surrounded by pets, livestock, and wildlife. In college, she did a student exchange to the University of Hawaii where she whole-heartedly embraced marine life as well. 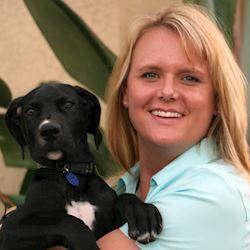 Dr. Woody completed both her bachelors and veterinary medicine degrees at Colorado State University. After practicing in the Denver area for five years, she relocated to San Diego County in 2004. 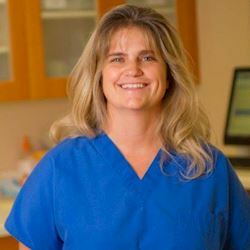 Dr. Woody completed a residency program and is a Diplomate of the American Veterinary Dental College. She is a published author, and has lectured at local and national conferences. Dr. Woody currently works to provide excellent oral care for pets at Pacific Coast Veterinary Dentistry and Oral Surgery in Encinitas, CA. Outside of that, she supports regional shelters, zoos, aquariums, and sanctuaries by providing oral care for their animals as well. Dr. Woody also travels with a unique team that offers dental care for elephants, rhino, giraffe, walrus, hippo, and other megavertebrates around the world. When she is not working, Dr. Woody enjoys being outdoors in San Diego or traveling with her husband and son.